So as you probably already know the purpose of this blog is to discover whether higher education is worth the cost. Everybody is entitled to their own personal decisions and opinions, but I would like to give my reasoning as to why I personally believe higher education is worth the time and cost. As my second year of college, I think I am beginning to understand why people decide to enter this world of higher education. If you don’t agree with me, please excuse my rant, and perhaps read one of my other posts! As I’ve said before, college is expensive, unique, bittersweet, and unpredictable. Whether or not you attend college does not guarantee a job in the future. College does seem pointless at times, and it is only helpful if you decide to use take advantage of your education (like attending class on a usual basis). Still, I believe that the only excuse for not attending college is simply, you don’t want to go. All the other excuses, such as financial reason can be worked around. For example, if college is too expensive, apply for scholarships or attend a less expensive college (maybe even a tuition-free college). If you can’t get into a 4-year university, start at a 2-year college and transfer. College has a way of helping people discover their passions as well as their dislikes. From my time at Chapman, I have discovered that I really enjoy business classes (something I would have never guessed), but I really dislike physics. Therefore, I am never going to seek a job that involves knowledge of physics, but I may want to start a business at some point. Without attending college, I would have never discovered my interest in business and how the economy works. The time I have spent being able to find something I would like to do has been extremely helpful in guiding me towards my future goals. College may be a couple years, but it’s worth the investment to find something you are passionate about and want to do for the rest of your life. After all, you wouldn’t want to spend your life doing something you hate. Whether it be vocational school or college, higher education does have its advantages. Once you find something you enjoy, college can help you gain the necessary skills for a job in that field. Colleges provide a wide variety of networking tools such as an alumni network which can help you get jobs. Colleges with huge alumni networks such as UC Berkeley tend to get an enormous amount of applicants, but also graduates are more likely to get employed by other alumni. In my small city, many graduates from UC Berkeley Boalt Hall School of Law open law firms together and hire many other Berkeley alumni. These connections from college can definitely help further your career as well as bring together some great friendships. Last of all, if you want to go to graduate school, then having a bachelor’s degree makes a huge difference. 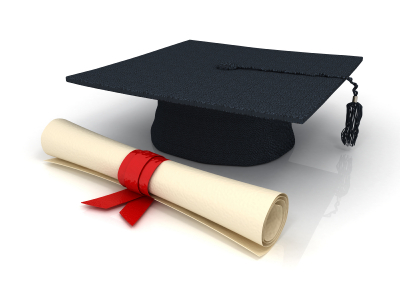 Graduate schools require a bachelor’s degree or the pre-requisites of certain college classes. But why go to graduate school you may ask? Well the answer is in general, having a higher degree, secures more jobs because some jobs need require certain skills. Even though unemployment in the US is at a high right now, there are still jobs, there is just no one with the skills for them. Jobs such as a lawyer for example, requires law school, and being able to pass the BAR exam. What about a veterinarian? Everybody wants help animals, but sadly that requires about 8 years of schooling and passing the license exam. So it seems sometimes, you just don’t have a choice. How much does college actually increase your chances of employment? I’m sure this is the question everybody is wondering. According to the labor statistics for October of 2010, the unemployment rate for men with only a high school education was 21.7% while the unemployment rate for men with bachelor’s degree was only 9.9%. The statistics for women were very similar and in both cases, the unemployment rate for college graduates was much less than those with only a high school education. Its seems that the difference in unemployment is 11.8% which is huge when we’re talking about the whole entire US. So at this moment, it is safe to say that college does not equal employment, but it sure does help! This entry was posted in Uncategorized and tagged college, degrees, education, finance, law school, unemployment. Bookmark the permalink. I enjoy reading through an article that can make men and women think. Also, thank you for permitting me to comment! Very good info. Lucky me I recently found your website by accident (stumbleupon). I have book marked it for later! Oh my goodness! Awesome article dude! Thank you, However I am having issues with your RSS. I don’t understand why I can’t subscribe to it. Is there anyone else having identical RSS problems? Anyone who knows the answer can you kindly respond? Thanx!! Nice post. I learn something totally new and challenging on blogs I stumbleupon everyday. It’s always useful to read through content from other writers and practice something from their web sites. Hi there! I just want to offer you a huge thumbs up for your great information you have got here on this post. I’ll be returning to your website for more soon. A motivating discussion is definitely worth comment. I do think that you ought to write more about this subject, it may not be a taboo matter but generally people don’t speak about these subjects. To the next! Cheers!! Good day! I just want to offer you a huge thumbs up for the excellent information you have here on this post. I will be coming back to your blog for more soon.